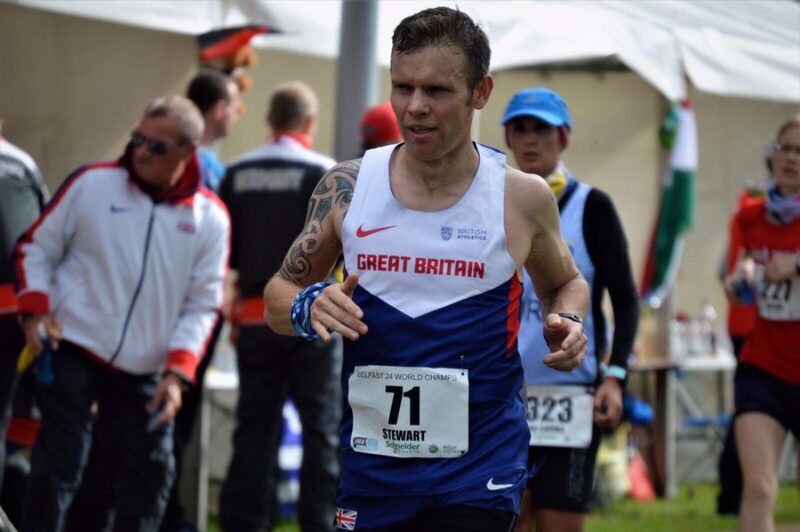 We caught up with Scottish 24hr Runner and Team GB athlete James Stewart to congratulate him on his recent selection to represent Great Britain for a consecutive year at the 24hr European Championships, which takes place in Romania this May. We also asked him to share with you his top 5 tips on taking on a 24hour race. We hope you enjoy reading this as much as we did! Try explaining 24 hour racing to someone who thinks 5k is a monumental shift and you might as well as have a go at explaining the plot of Inception to a 4 year old, or try to work out what the hell Iggle Piggle from In The Night Garden is. But, I am going to assume here you have an idea of what ultrarunning is and can wrap your head around long distance and long-time events. Having made my debut for Great Britain at the 24 hour World Championships in Belfast last year, I have been lucky to have run against and alongside some of the best 24 hour runners on the planet in the last few years and in that time I have picked up some nuggets of wisdom. Here are my top 5 bits of advice for runners new to 24 hour racing. The old mantra about fail to prepare, prepare to fail really applies here. Robbie Britton – bronze medallist at the 2015 World Champs – describes 24 hour racing as the purest form of ultrarunning and I agree with that view. It is distance over time, not time over distance and everyone starts and finishes at the same time and pretty close to each other. In 24 hour racing the mental side is arguably as important as the physical. Find ways to stay motivated, to keep going and to break the enormity of the event down into something doesn’t overwhelm you. We spend literally hours every week training the body. If you put some of that time and effort into the head you will greatly increase your chances of success. I won the 2016 Tooting Bec 24 hour race with 160.4 miles, a meet record. However, an hour in I was 13th of 45 runners as a gamut of male and female runners started haring ‘round the track at world record pace. It would have been easy to panic and think I was the one who was wrong, but little by little as the race wore on I would start moving through the field. Consistent and relentless progress will almost always result in a higher mileage. You are less likely to go through highs and lows, loss motivation and blow up if you run well within yourself early on. If you think you are going to fast in the first few hours you are going far too fast. In 24 hour races I always have a wide range of nutrition and hydration options open to me. You can write down any number of eat and drinking plans but at some point you will want something that isn’t on your spreadsheet. Or, more importantly, what you had will stop working. Things I always have available and go to if I need to are liquid rich fruits like grapes, melon or oranges. I love some homemade soup, laden with salt. And, of course, being Scottish, there’s always some Irn-bru in my break glass options. Practice your nutrition well in advance of the race and find things that when you cannot stomach anything else will work for you. Running out of fuel will end your race. Your shoes, socks, and running gear is going to be with you for 24 hours. Learn to know what works for you and make early and decisive decisions if things aren’t working. For example, a wee hot spot on the small of your foot after 6 hours will hurt more than a needle in your eye at 20 hours if you don’t deal with it in time. Don’t be scared to lose a couple of minutes to fix things, it will inevitably save you time. People who run 24 hour races are some of the best folks I know. They are generous, encouraging and always on the lookout for each other. You will be running around a short loop and will get to see the same people over and over again. Make friends, chat and have fun. It will help the time go by quickly and can readily lift you from a slump. I ran with Dan Lawson – 2016 European Champion – for a long time at the 24 Hour World Champs and his attitude was infectious. He has a #thankyouuniverse attitude and must have said hello to everyone in the park that day. That kind of approach is worth a few miles on your distance for sure. I could of course write 24+ tips. Over thinking the 24 hour race is one of the greatest risks to getting to the start line ready to give it your all. In simple terms it is all about moving as far as you can in that timeframe. Nothing more difficult than that. It will hurt at times, you will question your sanity and you will hate and love it at equal measure throughout the event but it is a journey very few people can even contemplate doing. It takes incredible bravery and ambition to toe the line at a 24 hour race. Even just thinking about it is massive. I guarantee you no matter what, if you do go for a 24 hour race you will end the process and the race knowing a lot more about yourself regardless of the outcome. His Friday thoughts are well worth a read!